Cavetown Storage — Now Renting Units At Its New Location! Cavetown Storage has opened its newest location at 12121 Mapleville Road in Smithsburg — with units as large as 10′ x 20′ renting for $100.00 per month. Two Hounds are Better Than One at the Cavetown ACE Home Center! Party Girl helps Sloe — The Helpful Hardware Hound — sniff out the very best deals in hardware and building materials for Smithsburg, and Hagerstown residents. Sloe — sniffing out all of the very best deals at the Cavetown ACE Home Center! 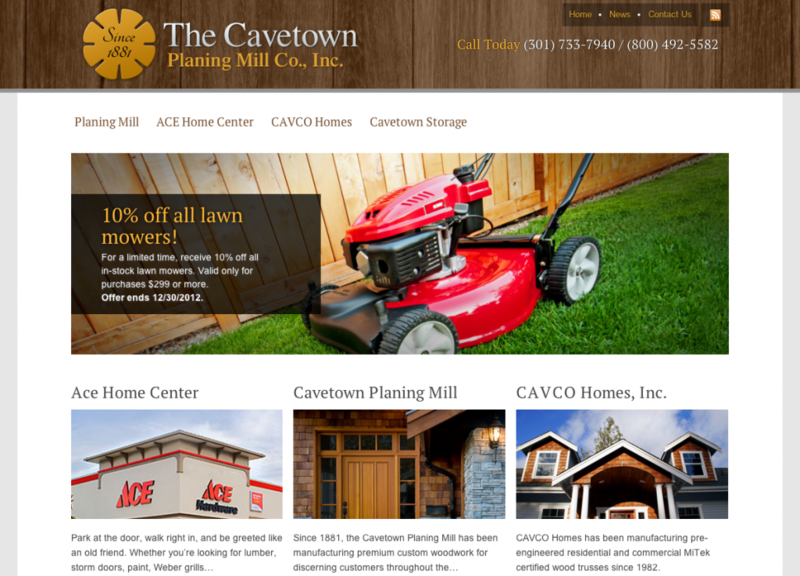 Cavetown Planing Mill, Smithsburg and Hagerstown’s largest locally owned hardware retailer, is pleased to announce that their new website is now live on the web at www.cavetown.com. The new website, developed by High Rock Studios, was designed with an emphasis on regularly updated content, useful information and features, and a more user-friendly interface.